As a rule, I almost never post smoothie recipes because, do you really need a recipe for a smoothie? However, I take exception to my own rule when it comes to these date shakes. 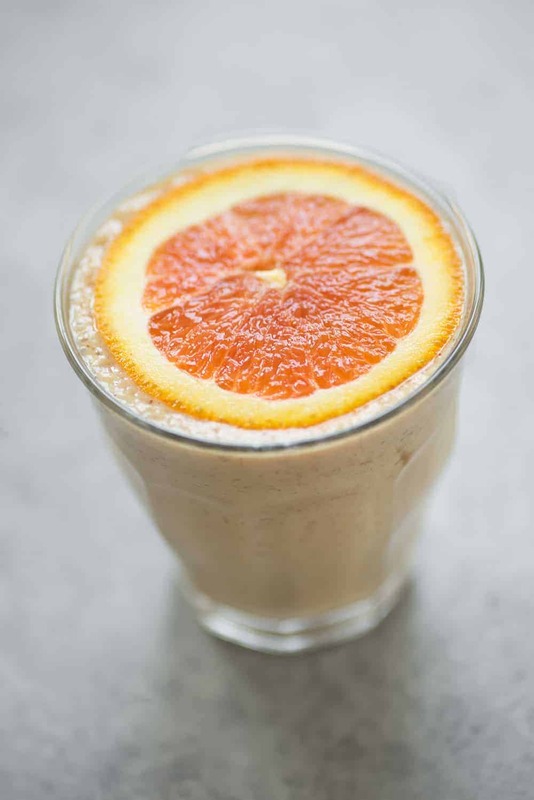 I’ve made a few of them here (including this favorite snickers shake) and if you are looking for a healthy milkshake alternative, these are it. I fell in love with date shakes while living in California and it’s a must-have for me the moment temperatures hit above 80. 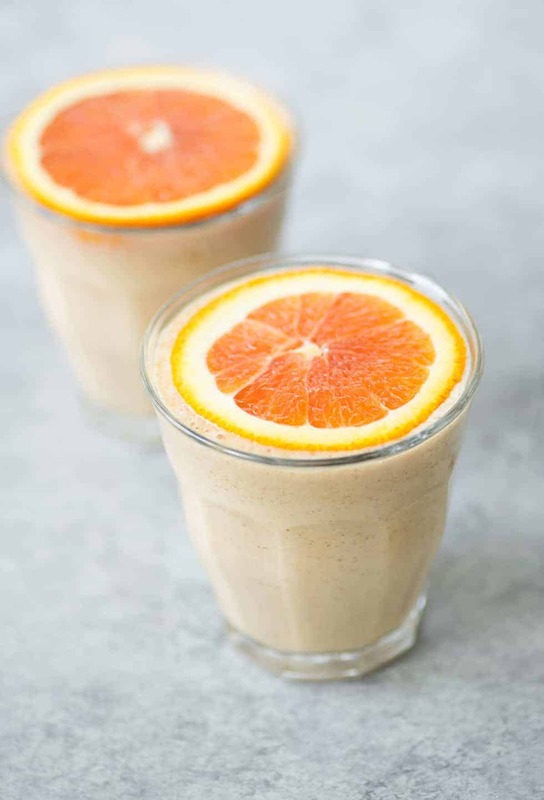 Especially this creamsicle date shake version. 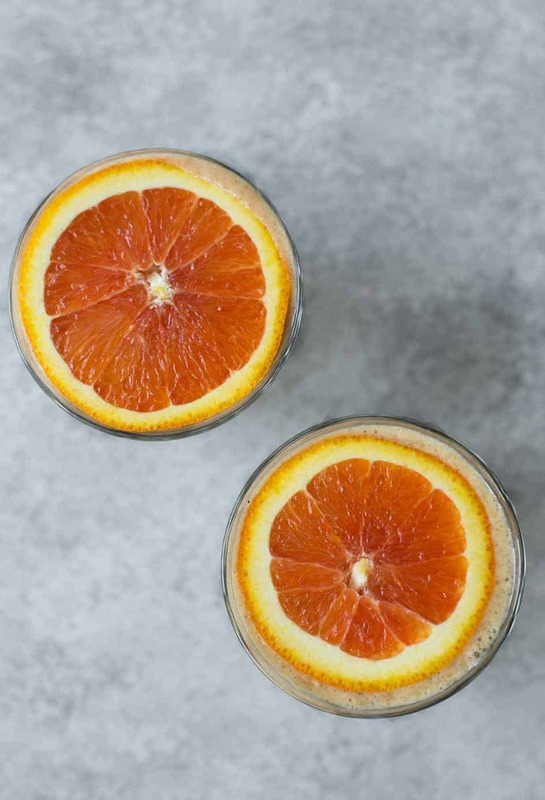 Creamy, refreshing and naturally-sweetened, it’s a favorite around our house. I even put a little in a cup for Vander when I made these last week and he went bonkers for it. These couldn’t be easier, throw everything in the blender and puree until smooth then enjoy. Frozen, these also make incredible popsicles. Any fun plans for Mother’s Day? It’s supposed to be a gorgeous weekend here and I’m excited to relax around St. Louis and do a few fun things outside. We’re planning on heading to the farmer’s market early tomorrow, followed by drinks and appetizers on the deck with a few of our friends. On Sunday, I’ve requested that we go for a family run in the morning followed by lunch at a local restaurant that serves the Impossible Burger. Have you had it yet? I tried it a few weeks ago with a friend and I’m dying for BL to try it. Oddly enough, I absolutely loved it. I’ve heard from a few fellow vegetarian friends that they were weirded out by the similarity to actual beef, but it totally hit the spot for me. Herbie’s version comes loaded with caramelized onions and the best french fries, which feels like the perfect way to enjoy Mother’s Day. Creamsicle Date Shake! You are going to love this creamy, naturally sweetened vegan and gluten-free shake. 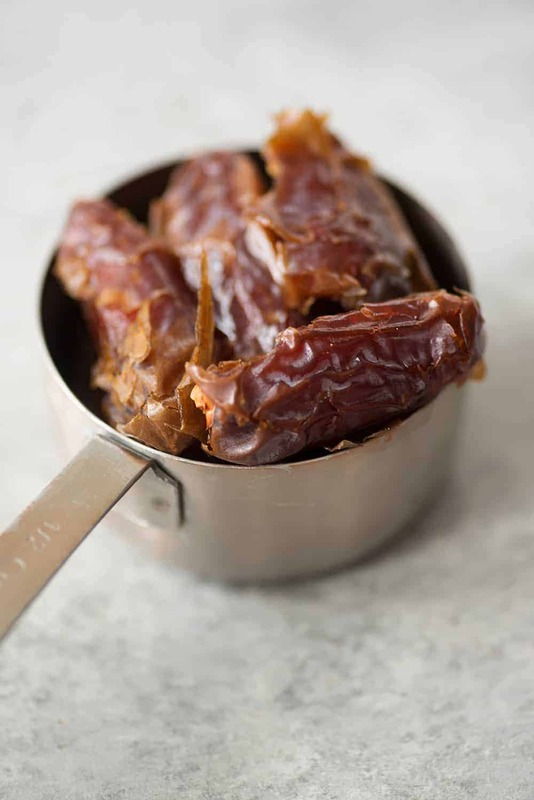 Made with fresh oranges, dates, vanilla and almond butter. A MUST try this summer! Place all ingredients in a blender and puree until smoothy and cream. Divide into two glasses and serve. Sounds delish! 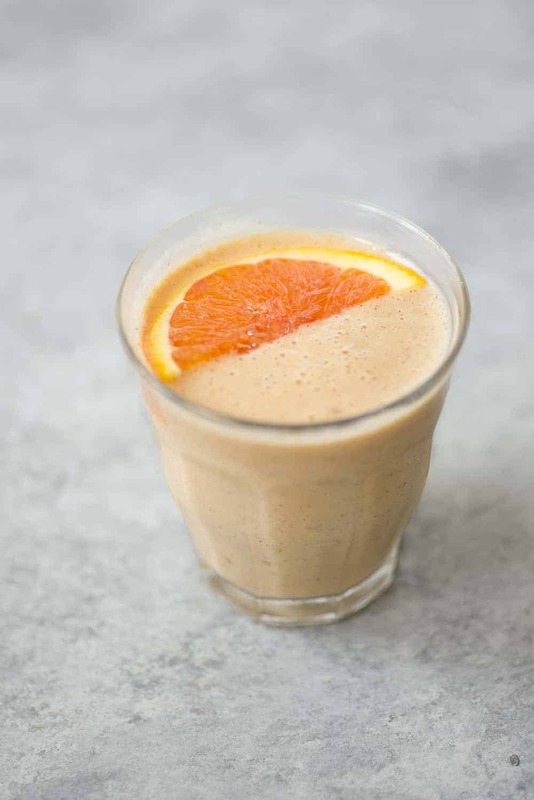 I make a similar smoothie with frozen banana, dates, almond butter, and a touch of cinnamon – I think it was one of the only things that got me through the first trimester this time around! 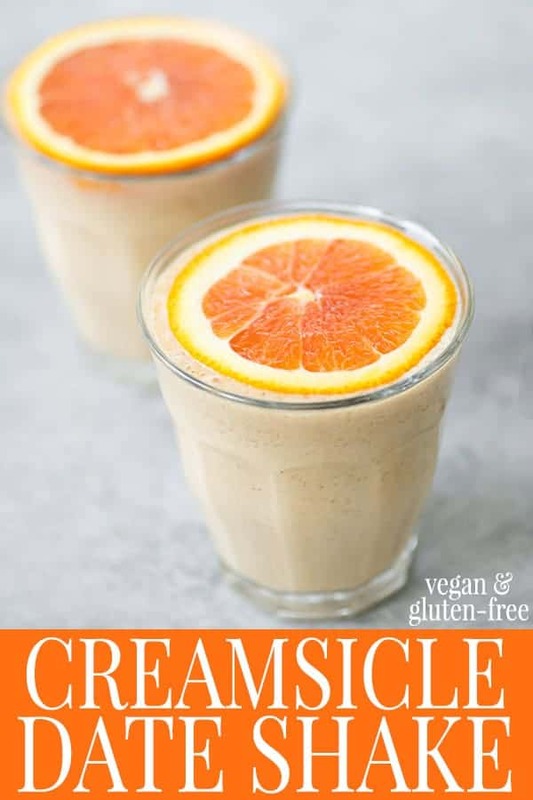 I’ll have to give this orange creamsicle version a try over the weekend! OH! That sounds delicious! This one is pretty similar!